When I 1st got the Empyrean sheets, I put them in the washer (note: you can not use fabric softener on these) wash on cold and delicate setting. They dry quickly on tumble dry low temperature with no dryer sheet! I have a Queen size mattress and it’s so hard to find just the right dimensions to actually fit the bed. 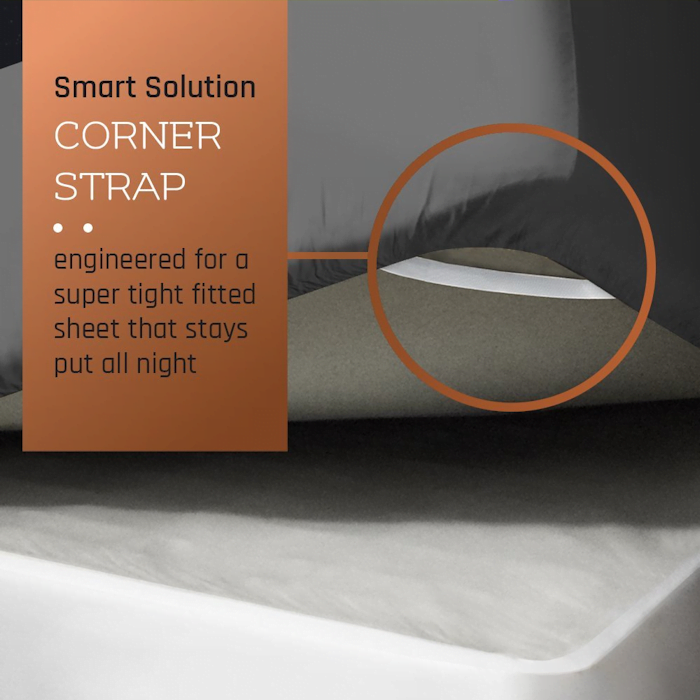 I’ve always wanted a set of sheets that fit the mattress without coming off! One of the problems I face every morning is sheets coming off the bed. 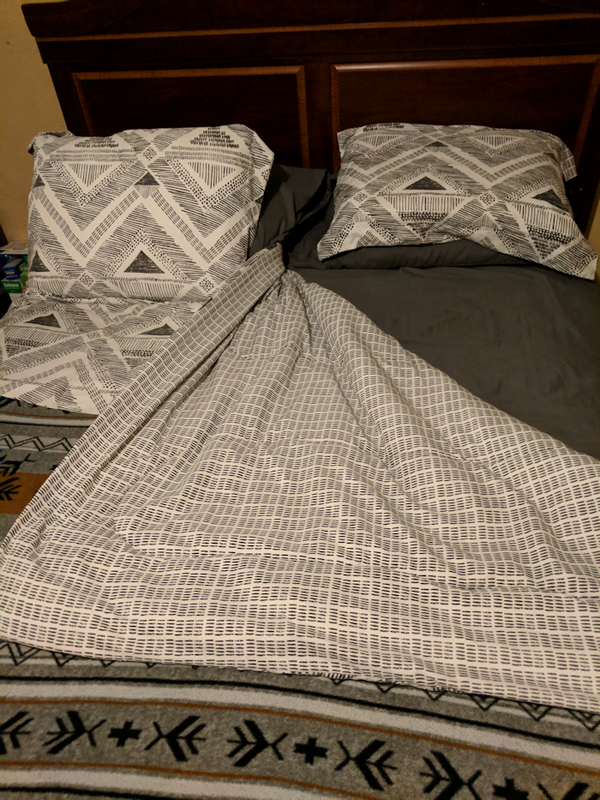 So when I received these sheets, I couldn’t wait to try them out! 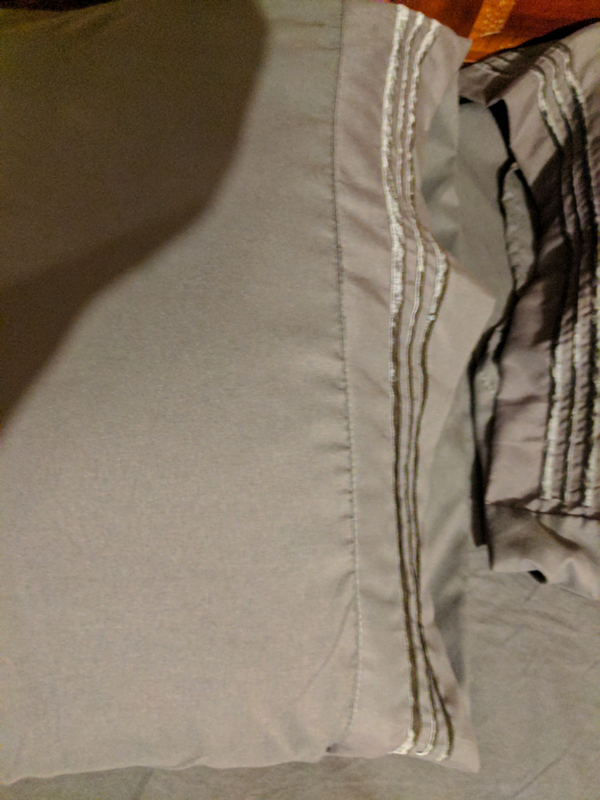 As I was putting them on the bed, I was so excited to see that these sheets had a piece of elastic sewn onto the sheets in all 4 corners that help keep the sheets on the mattress. I felt like I had hit the JACKPOT! The morning after I slept on them, the sheets where still attached in all four corners! 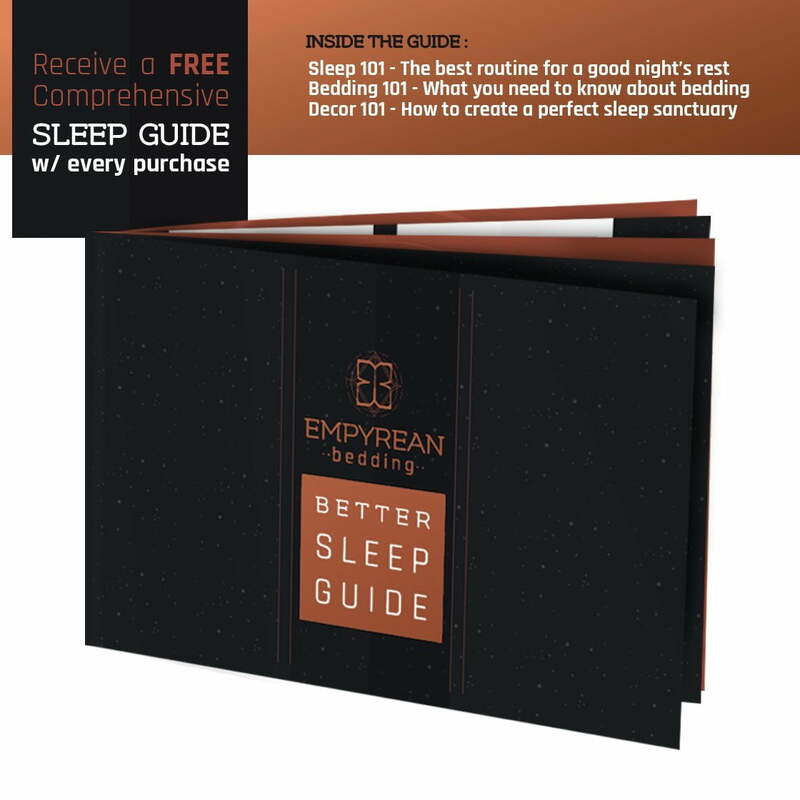 The sheets also came with a “Better Sleep Guide” booklet that was very informative on improving your sleeping routine for a better sleep experience and a great bonus! These sheets are 100% hypoallergenic, and resist dust mites and mold which helps prevent skin irritation. 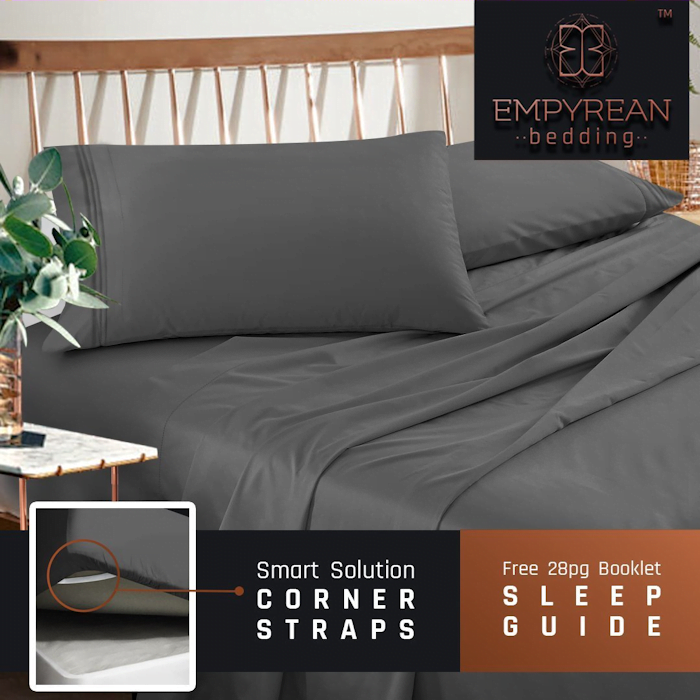 The Empyrean Bedding contemporary bed sheets set is made of 100% superior-quality, brushed microfiber fabric, which is not only more durable than costly cotton, but also more breathable! 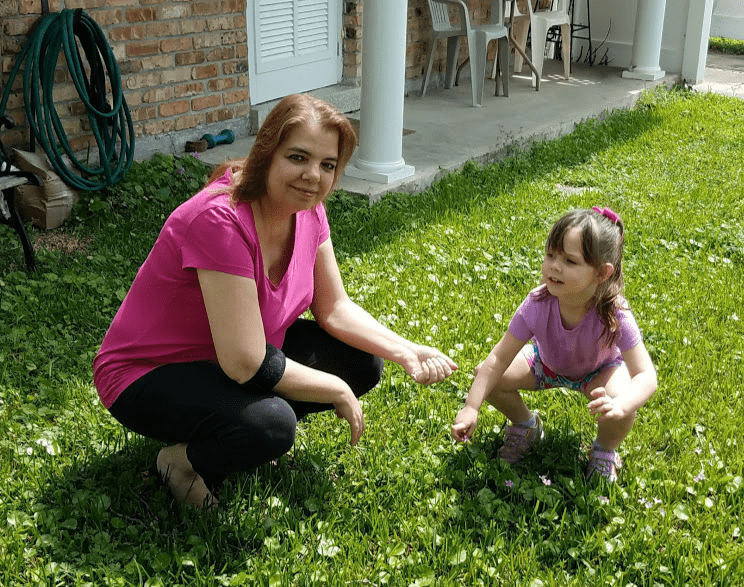 Ultra-durable & special easy care – extra strong fabric for many years to last – Fade, stain, shrink and wrinkle resistant. I love the color. I personally would never have chosen Gray for my bed, however, now that it’s on my bed it looks great, matches my comforter well. 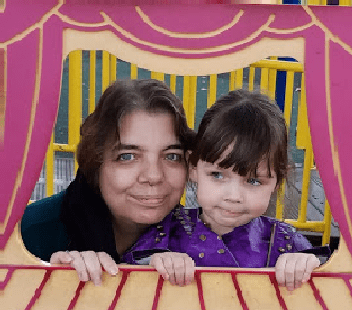 Funny story about the comforter, the week before I got the sheets, I washed the comforter and the dryer burned a part of the comforter, so now I’m looking for a new comforter to match my sheets! LOL Just goes to show you you never know what may look good. Just because you don’t like a color, it may look great! Bed made, sheets look great! Sheets on my bed. Look great! So Soft! I highly recommend you buy Empyrean sheets! 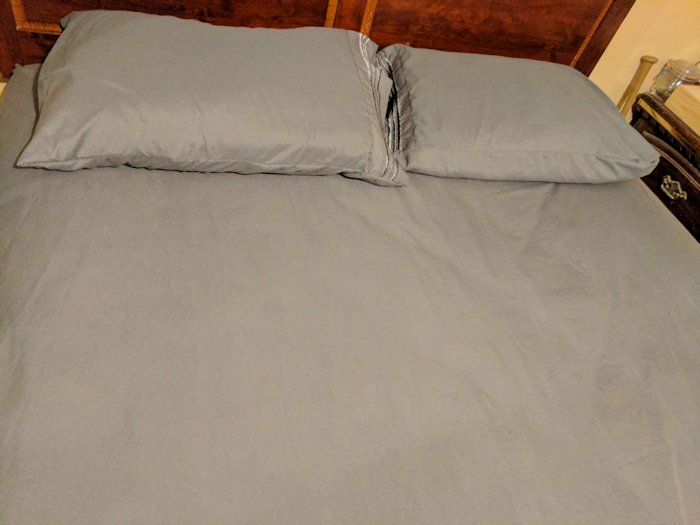 The quality, comfort, and fit of these sheets are phenomenal! I hope to buy more soon! 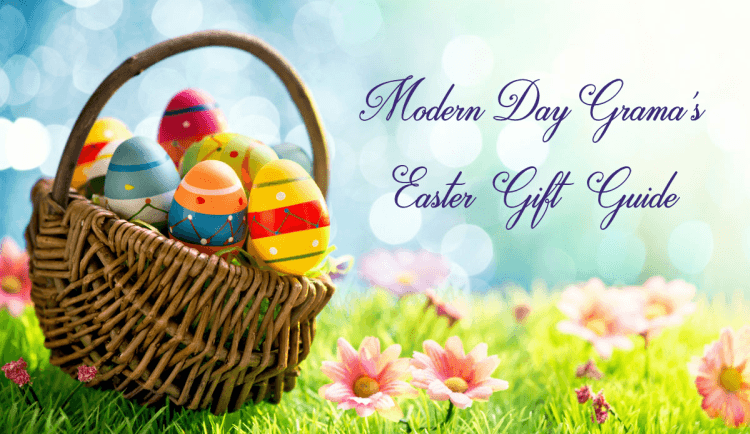 Click the link to enter the Empyrean Bedding giveaway for a chance to win and get some coupons. Don’t forget to check out our other product reviews.